I was hired in 1982 as an assistant professor. I left a joint appointment between Sociology and African-American Studies to join the D'Youville faculty. At D'Youville I was provided the opportunity to teach across disciplines and the freedom to pursue an aggressive research and writing agenda. My lifelong intellectual passion has been to understand gender relations. Sociology is the most comprehensive knowledge framework to explore the psychological, social, cultural, and sexual dimensions of gender. I have published extensively on gender relations in relation to issues, including physical activity and health, gender equity in athletics, sport and masculinity, and men's violence. I have been a leader in the development of social scientific study of men and masculinities, particularly in the areas of sport and health. 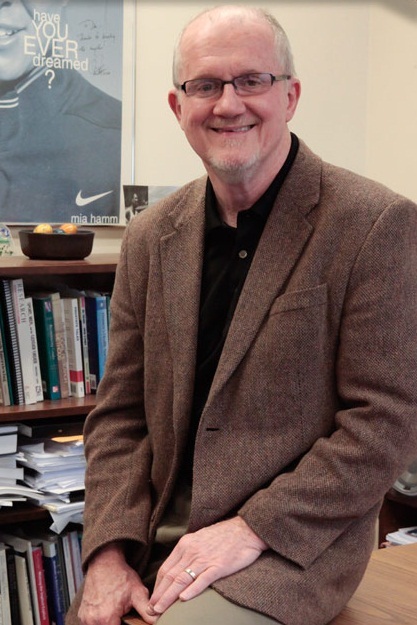 I'm founder and director of the Center for Research on Physical Activity, Sport & Health (CRPASH) at D'Youville. The mission of CRPASH is to design, conduct, and disseminate cutting-edge research on the links among physical activity, sport and health. We are an organizational catalyst for interdisciplinary research projects that foster education, policy development, and public health initiatives. We specialize in getting knowledge and policy "off the shelf" and into communities, schools, and the media, where it can impact people's lives. CRPASH's partnerships with national nonprofits, visionary donors, and corporate sponsors enable us to maximize the educational impacts of our research. I am a Professor of Health Policy in D'Youville's Health Policy & Health Education Doctoral Program. For students this program is both an intellectually challenging and supportive environment that deepens their knowledge, develops their research and managerial skills, and allows them to pursue a personally and professionally meaningful scholarly agenda. Our small classes help produce big results. I've also served as the Research Director for the Women's Sports Foundation (WSF). I like to say that I have two bosses who are both women: Sr. Denise Roche, president of D'Youville College, and Billie Jean King, founder and Board Chair of the Women's Sports Foundation.